George Bickerstaff is a partner and the managing director of M.M. Dillon & Co., a healthcare and technology investment bank that he co-founded in 2005. In this role, he has advised dozens of companies on business strategy and financial and capital market issues. Prior to joining M.M. Dillon & Co., Mr. Bickerstaff held various senior executive positions with Novartis International including chief financial officer of Novartis Pharma AG and five other global companies. He currently serves on the board of directors of three publicly traded companies: Inovio Pharmaceuticals, Inc., Cardax, Inc. and CareDx, Inc. 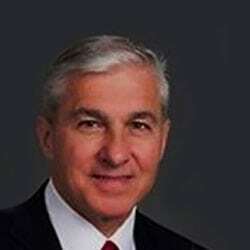 He previously served on the public board of directors of Amazys Holding AG; ARIAD Pharmaceuticals; BMP Sunstone Corporation; Oracle Healthcare Acquisition Corp; Novartis Pharma AG;Vion Pharmaceuticals, Inc.; Viventia Bio, Inc. George received a Bachelor of Science degree in engineering and a Bachelor of Arts degree in business administration from Rutgers University and continued his executive education at Harvard Business School.